Vestiaire Collective is a social site for the resale of designer and premium fashion, recently launched in Australia. To celebrate the launch, Alice has curated an archive collection of her personal & brand wardrobe, to be sold on vestiairecollective.com. Alice wears: Vintage top, Cherry On Baby Dress $259 available at aliceMcCALL.com, shoes by Gucci. Alice has donated an exclusive selection of her favourite pieces, vintage & new. All proceeds will be donated to Fashion Revolution, a not-for-profit global movement which aims to change the way our clothes are sourced, produced and consumed. Alice sits down with Carmen Hamilton to discuss their fashion philosophy & what pieces they chose to sell. How did this collaboration come about with Vestiaire Collective & why did you choose to get involved? I love the idea of giving a second chance to a piece of clothing. I have a considerable designer vintage archive so I was happy to share a few pieces for a good cause. Tell us more about the pieces available? I love doing my vintage shopping in Los Angeles. My favorite vintage store in LA is called The Way We Wore and I just love its owner, Doris. The Stella McCartney jacket & the Marc Jacobs midi dress, for instance, come from there. 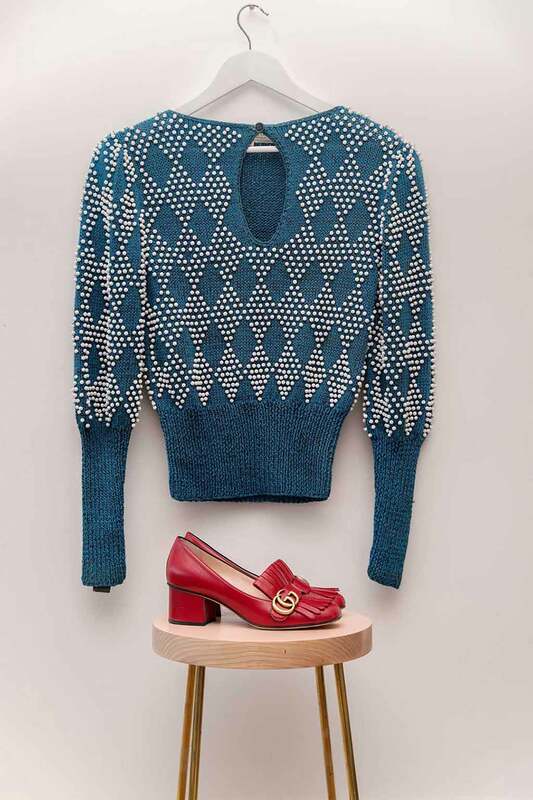 Another piece that I decided to donate is The Vintage beaded jumper – I have had it for so long I don’t even remember where I got it from but I love the 1940’s silhouette with kooky graphic beadings. 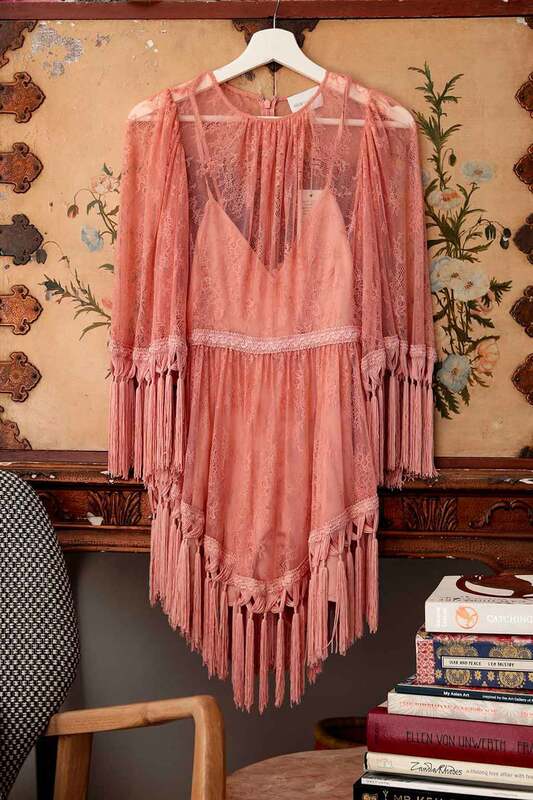 From my own brand I chose The alice McCALL knitted playsuit, it is a must have for a summer holiday, I wear it with a pair of Marc Jacobs slides, & the alice McCALL tassels dress, which is one of our best sellers. Effortless but chic at the same time. I like wearing a bit of 1970’s boho denim with a designer pair of shoes – I live a granny chic style, i.e my Gucci loafers with a pair of bobby sock. Do you go for fashion or function? Hard to say as I don’t really look at trends, but I do have an eclectic style depending on my mood. I like to mix a designer vintage piece with an Alice McCALL piece. Selling items you no longer wear & allowing the extension of their lifespan is one of the most sustainable/responsible there is in fashion. Is this important to you ? Yes it is – I try to be as sustainable as possible in every aspect of my life & design keepsake pieces. How do you feel about your own customers extending the life of their pieces through re-selling? It is a nice way of passing a love to someone else. Do you have a favourite vintage or pre-loved piece that you’ve cherished in your own wardrobe? Yes, I do. I have a few Ossie Clark pirate blouses & a few Biba pieces from my mum’s 1960’s wardrobe. What message would you pass on to the future owner of your pieces? Is there a care tip, style advice or a lucky charm story you would pass on? For me, it is just important that these pieces, whether they are my designs or my vintage ones, live on and continue to get loved.